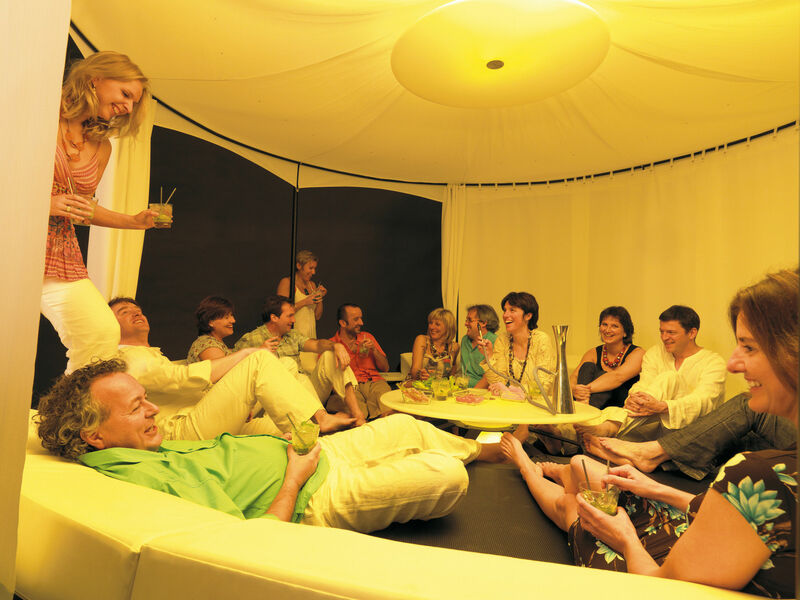 Providing superior seating and leaning comfort for up to 12 people. 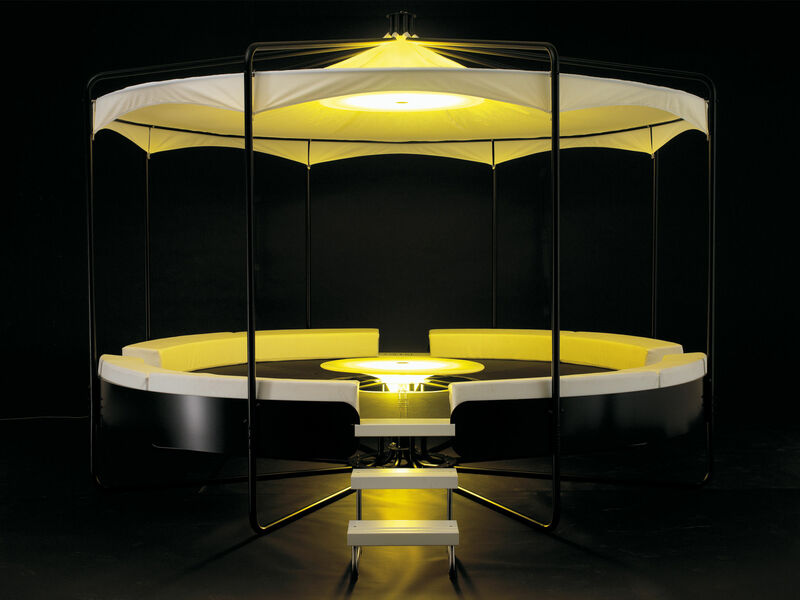 The two intergrated lighting units make the BeHive a piece of furniture you do not want to leave once you are seated. 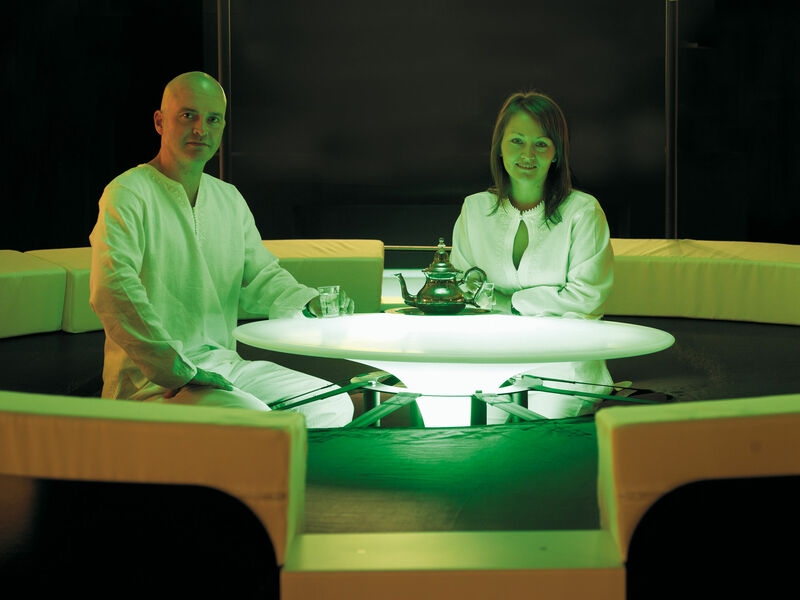 Close your eyes for a while and imagine the mysterious oriental atmosphere of a tea house in the Middle East, where people lounge and hang around on big, soft pillows. A water pipe is being shared, soft words are being spoken, all is said... BeHive creates exactly this feeling. Take part in the hive, become the hive, 'be the hive', ''Behive''.We played around a bit with the correct spelling of the word beehive, but once you have experienced BeHive no more words are needed. 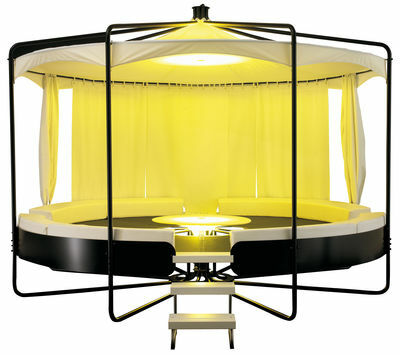 The concept is based upon a round trampoline, which is suspended about 60 cm above the floor. You can choose to either sit, lean or hang against the very comfortable side cushions. The trampoline fabric itself also provides maximum comfort and automatically adapts to the shape of your body thanks to the suspenders that surround and support it. 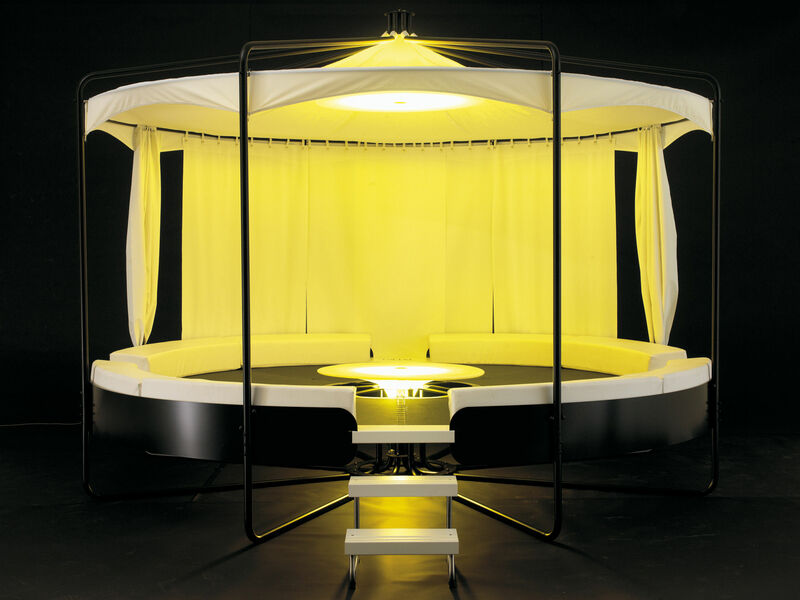 The fabric is also connected to the middle so that the lounging comfort remains the same for all the people seated, independent of the number of people. Finally, the fabric's surface also is sufficiently stable to walk to one of the four exits of the hive. 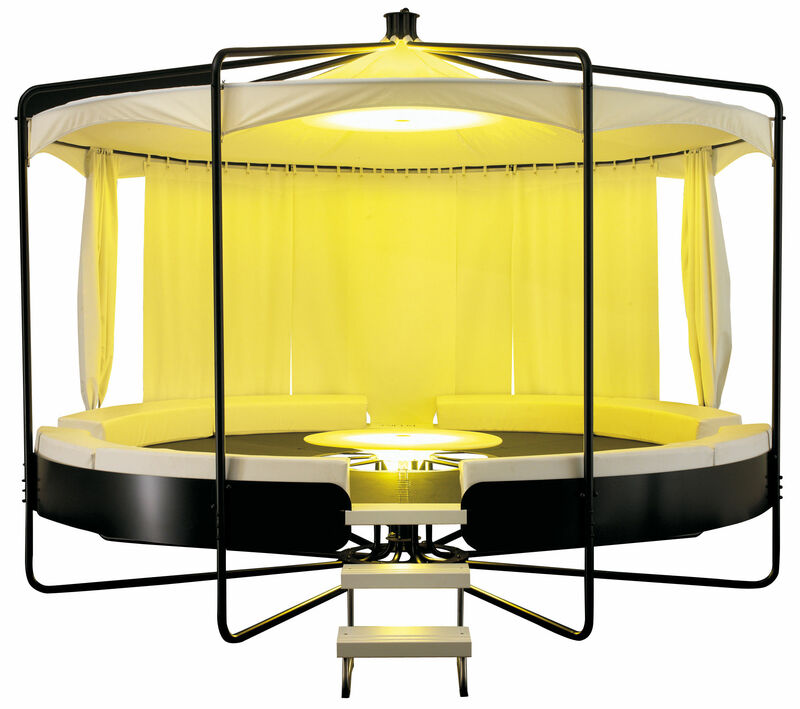 Boasting a 4-meter diameter, BeHive can provide maximum comfort to everybody inside. Although this exceeds the maximum capacity, BeHive has already been used by more than 20 people at the same time.